Dear dharma friends around the world! Tashi Delek from KIBI Sangha. We would like to invite you to the annual Public Meditation Course (PMC) at KIBI, to be held from the 24th of December 2015 to the 2nd of January 2016. The course will begin with an introduction to the program and celebration dinner on the evening of December 24th, and will finish with a conclusion ceremony on the morning of January 2nd. We are happy to announce that HH Karmapa has confirmed that he will once again bless us with his presence and teach and guide meditation practices throughout the course. His teaching schedule, along with the schedule for the rest of the program, will be uploaded onto the KIBI website once finalized. 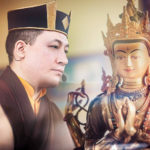 Following on from last year, Dupsing Rinpoche will continue teaching on Ngondro. 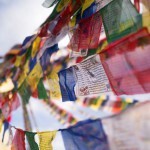 This year the focus will be on the practice of Dorje Sempa (Vajrasattva). Rinpoche will not only impart his profound knowledge but will also lead group practices. Every morning there will also be an opportunity to take the Sojong vows with Rinpoche for those who wish to. This year Ven. Dupon Nyigyam from Sharminub Retreat Centre in Kathmandu will give us teachings on Shine (Shamatha). 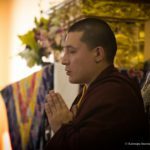 He is a highly qualified master in Mahamudra practice and he is also the current retreat master of the Karma Kagyu retreat centre in Pharping. Since he speaks only Tibetan we will arrange English translation. Registration for the Karmapa Public Course in March 2016 will be opened in early January, and will likely follow the same procedure. 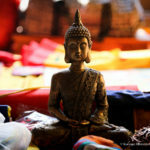 If you would like to stay at KIBI before traveling to Bodhgaya for the Kagyu Monlam (or elsewhere), please email your request to the accommodation department outlining the days you want to stay: kibihostel@gmail.com. After the Monlam, KIBI will be fully booked with PMC participants. We encourage you to visit our website frequently to check for updates related to the courses and other news. We look forward to welcoming you to KIBI soon! Admission for the 2016/17 Academic Program is now open!